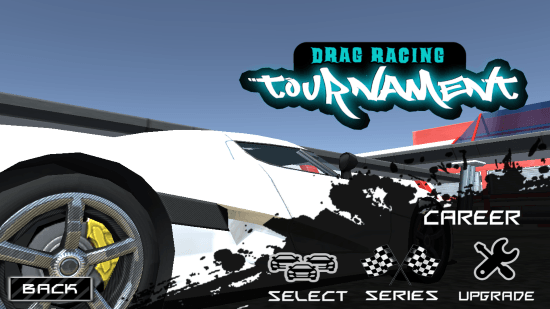 Drag Racing Tournament is a free racing game for Windows 8 and 8.1 computers. Get ready to experience some thrilling racing experience right on your computer. 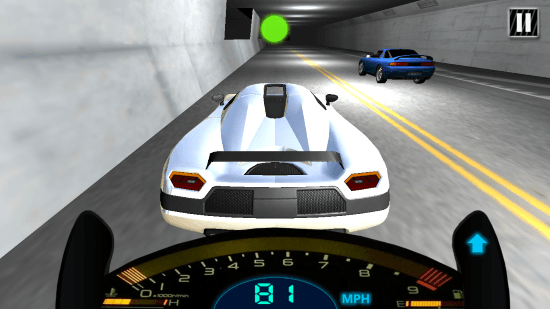 Drive the craziest of super cars available to reach maximum speeds and win over your opponents. 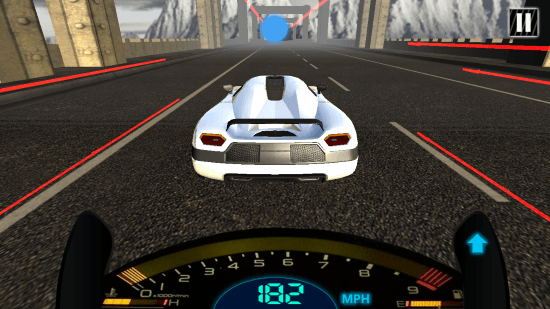 Get best graphic experience and close to real car driving simulation. This racing game for Windows 8 gives real car racing enthusiasts what they need. 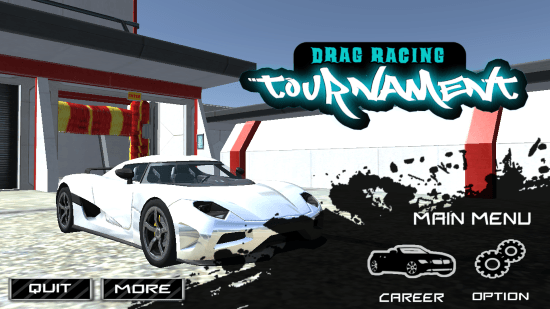 Race you opponents in different race tracks, difficulty levels, and with different cars. Win trophies and be the real deal of your city. This racing game for Windows 8 occupies just 46.7 MB of space. Find this game on Windows App Store, and click Install on the game page to automatically download and install it. The link to the game page of this racing game for Windows 8 is available at the bottom of the article. Click on the Career option on the welcome page to enter the game options. Click on the Options to manage sound settings of this racing game for Windows 8. Click on the Select option to select a car of your choice. 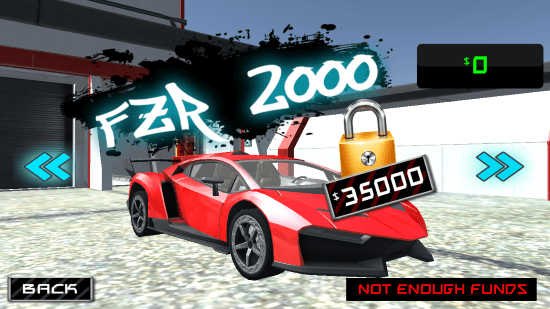 There are a number of cars you can choose to drive: Bugatti Veyron, Ferrari McLaren, FZR 2000, etc. Go to the Upgrade window to upgrade Engine, Gearbox, and Tires of your car. You have to spend cash to upgrade your car. Get the cash by winning races. Click on Series to view the races available for you to take. Select a Race and click on Race to begin playing this racing game for Windows 8. 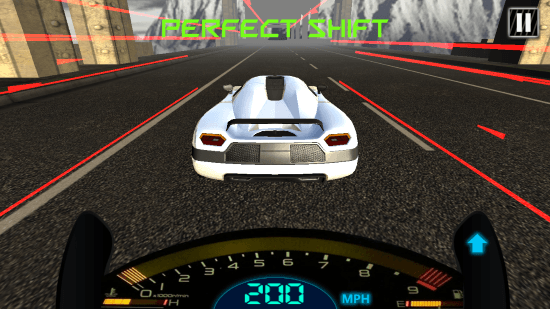 The key to win races in this free racing game is to shift gears in time. Keep an eye on the dot just above the dashboard. With the use of cursor, click on the UP sign on the handle to shift the gear up. Make sure you shift the gear when the dot turns Green. For every perfect shift the screen displays so. Id the shift is early or too late, the screen displays that as well. Win games to collect cash, and buy new cars. 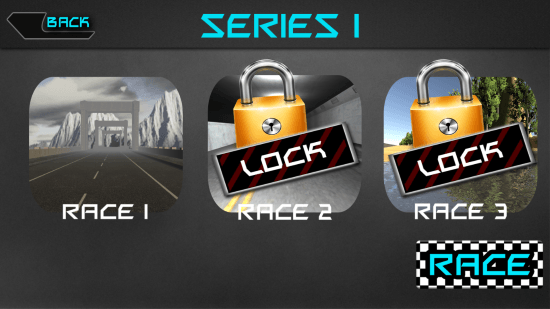 As you play this racing game for Windows 8, new tracks get unlocked. This racing game for Windows 8 is a keeper. With top notch visuals in such small size, it wins this segment of gaming. Also, the sound effect of this game is close to real. 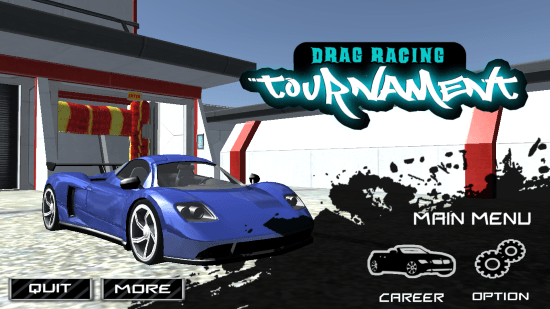 Download Drag Racing Tournament for Windows 8 and 8.1 computers.